MoU signed by the two parties aims at grooming the next generation of technology talent. According to a recent press release, the Hong Kong Applied Science and Technology Research Institute has announced that it will be partnering with the HKU Space (an extension of the Hong Kong University) to work towards grooming the next generation of technology talents (which happens to be one of the biggest challenges facing Hong Kong currently). 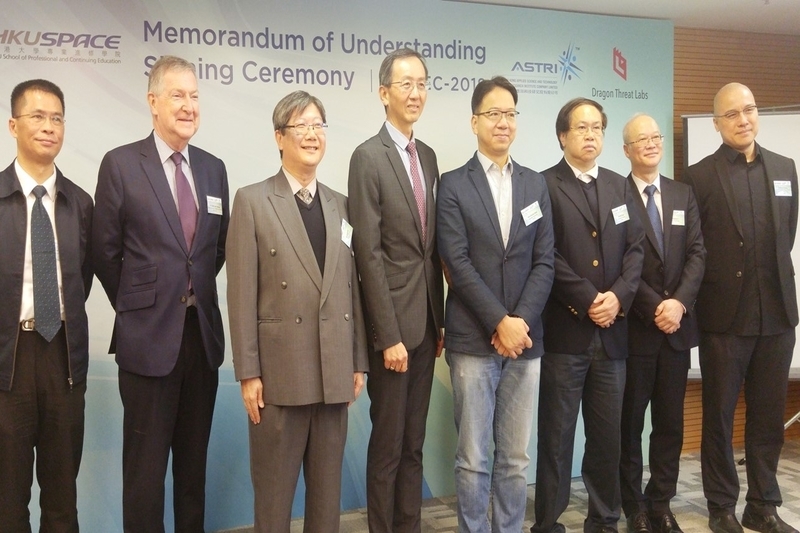 ASTRI, the largest applied R&D institution in the city, takes on this challenge as part of its overall mission to enhance Hong Kong’s competitiveness in the technology-based sectors. A great milestone to that end accomplished today with ASTRI partnering with HKU Space. ASTRI’s Senior Director of Security and Data Sciences joined the MOU signing ceremony for this partnership. It was noted that other high-ranking government officials and industry partners also attended the event. For example, Mr Charles Mok, JP, Legislative Council Member; the Director of HKU Space; and the Director & Threat Analyst of DTL, joined the occasion. With its unique position within the FinTech ecosystem, ASTRI is connected to both the supply and demand ends of the value chain. ASTRI not only provides FinTech and Cybersecurity training to industry professionals and rising talents, but it also uses the network across the industry and universities, to inspire potential talents to embrace FinTech as an inspiring career choice. It has been noted that Hong Kong is one of the world’s leading Fintech hubs, with its fintech landscape having undergone incredible growth in recent years. According to data by InvestHK, as of 2017, 48 of the world’s leading 100 Fintech companies reaped rewards from the city’s technologically advanced ecosystem. A trade finance platform based on Blockchain technology was recently developed by the Hong Kong Monetary Authority, signifying the city’s commitment to the future of Fintech. Artificial Intelligence (AI) – AI has the potential to revolutionise financial services by increasing efficiency, reducing costs and helping clients make better financial decisions. Local banks and financial institutions are proactive, including the technology as part of their modern financial strategy. Blockchain – Hong Kong boasts a strong telecommunications industry and has attracted major cloud service companies from both the US and Mainland China to facilitate the growth of Blockchain technology. Cyber Security – It provides the foundations for Hong Kong to grow its assets in Fintech while ensuring that the market stays safe. Regtech – Hong Kong has a fundamentally strong practice in regulation technology. The University of Hong Kong is strongly committed to regtech research and are collaborating with partners in Europe and Australia to support the city’s future. Insurtech – Many insurance companies are adopting the latest technology and innovation whilst having some of the brightest insurance technology practitioners from around the world. Wealth Management – Hong Kong offers clear and straightforward regulations, for example, on robo-advisors and the distribution side of wealth management. Thus, it is clear that ASTRI and other government and non-governmental agencies in Hong Kong are working towards growing and improving the city’s FinTech landscape.